Wednesday, November 14 at 12:30 p.m.
$27 Members, $30 Non-Members. $10 for tour only (no lunch). Call 607.547.1510 to register or for questions. Winter in upstate New York is a cold and sometimes austere affair. Spend some time in our new Winter Warmth: Coverlets, Quilts and Clothing exhibition with cozy (and gorgeous!) coverlets and quilts from our collections. 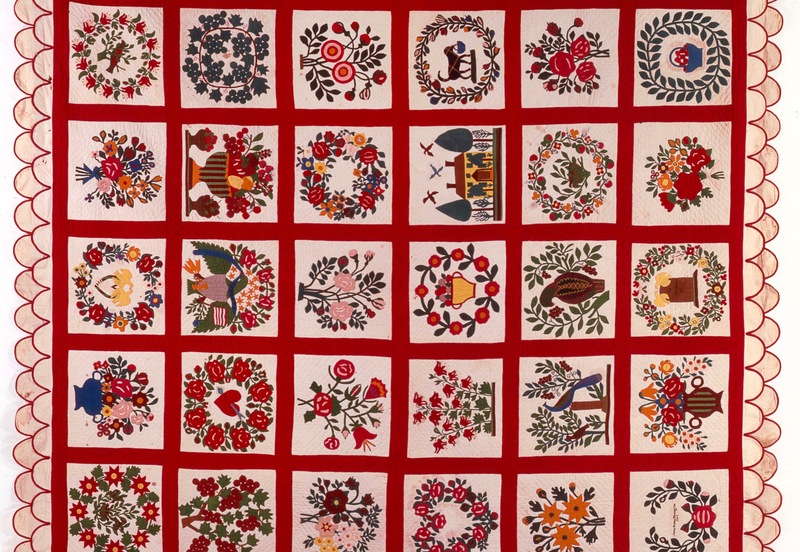 Christina Ely Milliman, Director of Museum and Library Collections will discuss the history and culture associated with quilts and bed coverings. She will guide you in closely examining handmade textiles and what to look for so that you too can recognize various quilting techniques and patterns. A quilter herself, Christina will touch upon the current revival in quilting and how this handcraft is making a not-so-subtle re-emergence in our society. Interwoven in this guided experience will be highlights of the fine wintertime accessories on display, as well as the importance of the Albany Cutter for journeying through the heavy snows of winter during days gone by.